This year, we focused on sharing stories from people who are dealing with the devastating effects of familial ALS. Every year on GivingTuesday we highlight stories from different people in our community who have been affected by ALS. This year, we focused on sharing stories from people who are dealing with the devastating effects of familial ALS. Familial ALS cases are about 10% of all of the diagnosed cases of ALS in the U.S.
Today you will hear from people who have had as many as 11 family members pass from ALS. People who have watched this disease run rampant across generations. People who are not only fighting for their future, but for that of their brothers, sisters, children, and parents. "Michele was truly the “leader of the pack” in our family; she was filled with strength, never-ending curiosity and intelligence that drove a tenacious desire to learn, explore the world and try new things while never faltering in showing how much she loved her family. And she definitely gave some of the best hugs in the world! Her husband Tom, and children Adam and Liz got to see how many lives she brightened across family, friends, and strangers around the world and it's something we each try and emulate in the world. Unfortunately, she lost her sister Melanie to ALS in 2009. And then when Michele was also diagnosed with ALS it only pulled our family more tightly together and ensured we made the most of however much time we had left together. Although Michele lost her far-too-short battle with ALS in 2014, Adam, Liz, and Tom honor her interminable spirit by supporting other ALS patients out there through the research being uncovered by the ALS TDI. We know in our hearts she would agree on how strongly we believe a treatment and cure will be found through the work ALS TDI is doing, especially for families like ours so widely affected by ALS!" 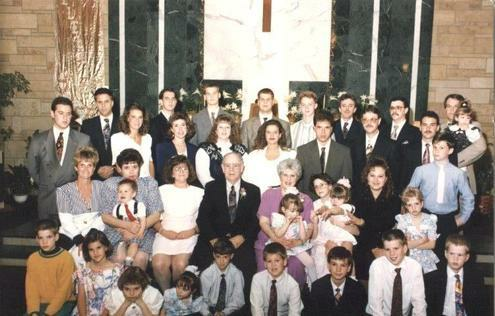 “Richard and Olympia (Derloshon) Olson were married in April of 1942 and raised their eleven children, seven boys, and four girls. In 1988 at the age of 66, Olympia started having problems with weakening of her legs and balance. After extensive testing, she was diagnosed with ALS. She struggled until her passing in 1994. In 1999, at the age of 49, their fourth oldest child John started showing similar symptoms that his mother had and shortly thereafter was diagnosed with ALS. 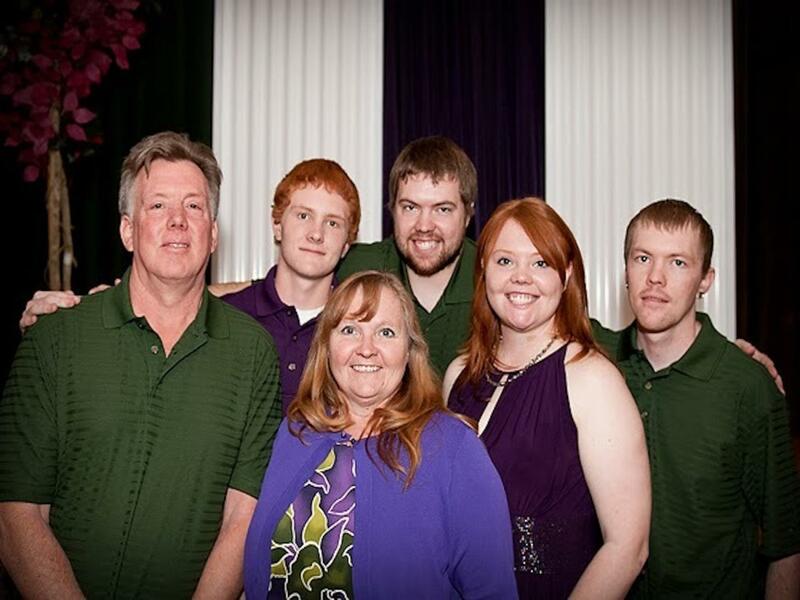 John’s family (his four sons and his brothers and sisters) then founded the Olson ALS Foundation. John passed away in 2005. Around 2007 the eighth oldest child Rick developed ALS symptoms and survived until 2013, becoming the third immediate family member to be stricken with this devastating disease. In 2016 their youngest, Patti, showed symptoms and in 2017 it was determined she also had ALS. Patti passed away in 2018. The Olson ALS Foundation sponsors a golf outing every August and a local Fort Wayne company, Belmont Beverage, also sponsors a golf outing every August – the funds raised through the Belmont Beverage outing are divided between our Foundation and the Better Business Bureau. The Olson ALS Foundation’s goal is to raise funds earmarked specifically towards research and discovering a cure for ALS. Grandfather. Father. Uncle. Aunt. Aunt. Aunt. Uncle. Cousin. Brother. 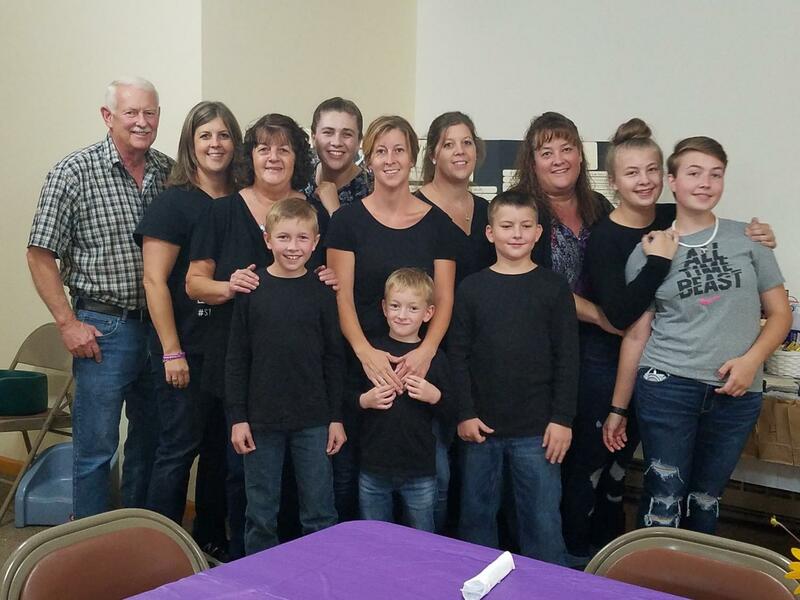 These are members of Cheryl Hanses’ family who she knows passed of ALS or is currently battling the disease. Her family is part of the 10% of all ALS cases that have a familial form (TDP43) of the disease. 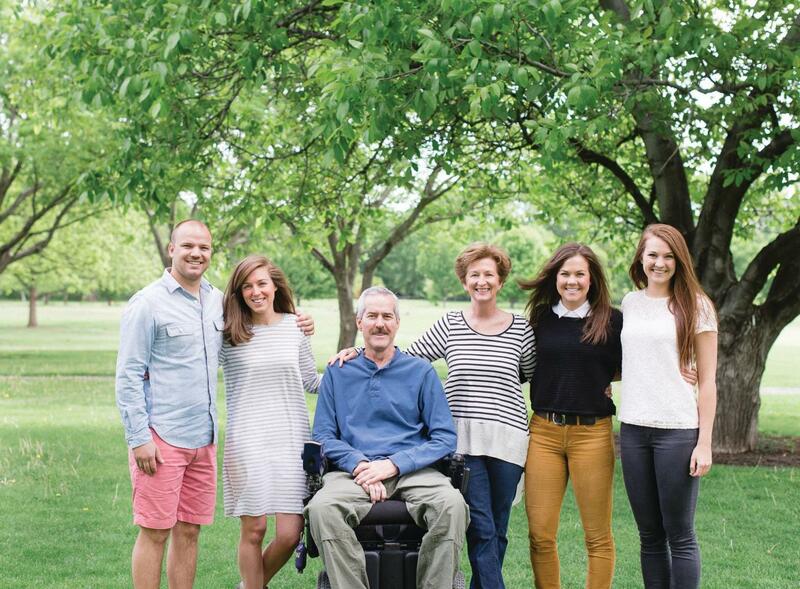 All the Hanses family knows is a life with ALS. ALS is their norm. ALS is a part of their collective legacy. Cheryl, her siblings, and their cousins were in their twenties and thirties when it was clear that ALS had uninvitingly joined their family. It was the 1980’s. The cousins assumed that by the time they were their parents’ ages—in their sixties and seventies—that a treatment or cure for ALS would be found. Today, they are their parents’ ages. But there are no effective treatments to stop the disease and no cures. And one by one, the cousins are getting tested for the mutant gene. A few of them have tested positive, a few negative, and others just don’t want to know. 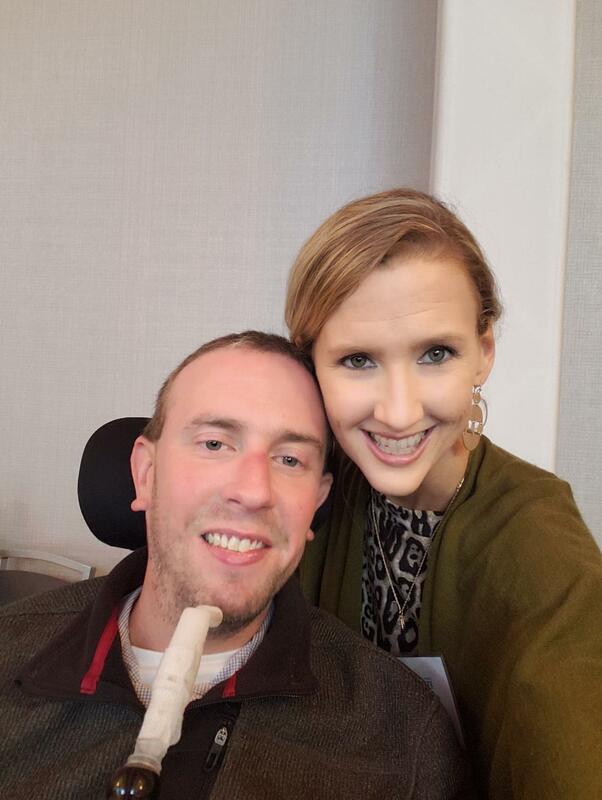 It was when Cheryl’s older brother Scott was diagnosed six years ago, that she decided to look more closely at the work of the ALS Therapy Development Institute (ALS TDI). Cheryl and her husband Mike Smith, a third-generation hop farmer in Yakima, WA, started a movement with one goal in mind: to raise as much awareness and as much money as possible to support research at ALS TDI. What she and her family did next would impact the pace of that research in a very significant way. So, in 2013 they piloted “Ales for ALS™,” a concept where participating brewers would be offered access to a proprietary hop blend, free of charge. In exchange, the brewers would brew special beers with these hops and then donate a portion of their beer sales to ALS TDI. Since then, Ales for ALS™ has raised over $2 million dollars for research at ALS TDI. My name is Vicky Bowdish. I live in upstate New York. Familial Amyotrophic Lateral Sclerosis (a/k/a ALS) has been an ongoing part of my life. Twelve family members passed away from this debilitating disease. In 1974, my grandmother was diagnosed. It started in her legs and upper body. She passed away at age 61. At this time, we really did not know a lot about this disease, until others were diagnosed. My aunt was diagnosed in 1986. It started in her legs, and she had a tracheostomy put in her throat to assist with breathing. She passed away in 1987 at age 59. There seemed to be a pattern of about 1 year and 3 months from onset to death. My mother was never diagnosed, but ALS started in her arms and legs. She came down with pneumonia in 1986 and passed 3 months later after being hospitalized at age 52. In 1990, I helped take care of my Aunt when she was diagnosed. It was a constant struggle every day to care for her. I would help her get around, shower, go to the bathroom, go to appointments, feed, and make her comfortable. She passed in 1991. My Aunt passed away in 1993. In 1995, my brother was diagnosed, his started in his lower body. He always said that everyone said there was no pain, but he said there was! It was very tough seeing my brother struggle with this disease. He lived in Kentucky, and I was not with him the whole time. He lived 1 year and 5 months, he was 43 yrs. old. My Aunt also was diagnosed in 1995. Hers started in her upper body. In 2000, 2002 and 2005 three more cousins passed away. In 2008, my sister was diagnosed. She passed away in 2009 at age 52. I took care of my sister just about every day. I took her to appointments, helped her eat, get around and tried to give her some enjoyment while she was struggling with this disease. It broke my heart when she passed away. Since my sister’s passing there has been no family diagnosed with ALS. I truly hope that no-one else has to go through what I have seen with caring for family members. I pray every day that no one else is diagnosed with this disease. In 1972, I married and then had 5 children. It was tough after the first diagnosis not knowing if I carried the gene and if I would be passing the gene on to them. Every 2-3 years a family member was diagnosed and shortly after passed away from this horrible disease. We started fundraising for ALS TDI in 2011 to help raise funds to find a cure for ALS. Due to the great loss in our family, we knew we had to do something to find a cure for our family. We have collected over $55,000 by putting together a spaghetti and meatball fundraiser. This is not your typical fundraiser; the sauce and meatballs are homemade, along with the bake sale items. We serve approx. 175 supporters every year, but WE NEED YOUR HELP this GIVING TUESDAY, we need YOUR HELP TO FIND A CURE. 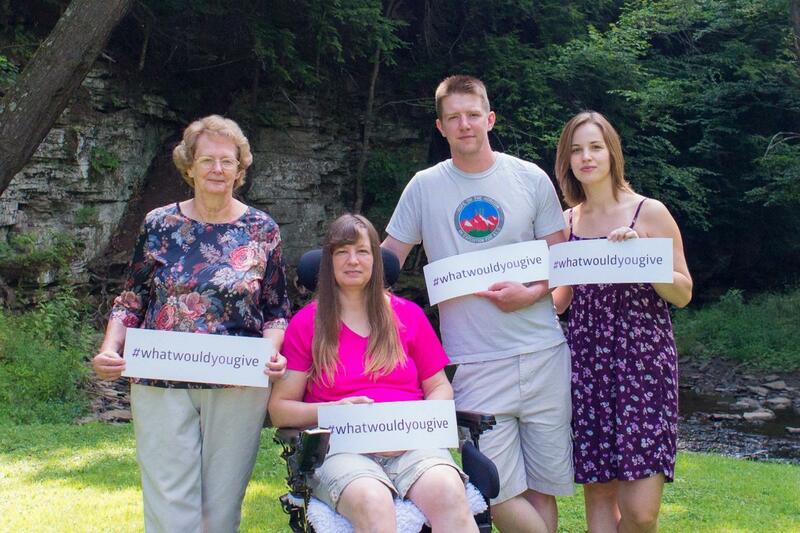 Please support ALS TDI – GIVING TUESDAY and donate for our family to find a cure. We need funds for MUCH, MUCH more research so we can be HOPEFUL that no other family members are diagnosed with Familial ALS. THANK YOU FROM THE BOTTOM OF OUR HEARTS! Sparks flew from that very first moment I met Bill. After six short months of dating, we got married. Ten months later our son Shane arrived.. Bill was certainly the proudest man on earth when Shane was born. He adored our son. Then seven to eight years into our marriage, while working closely together in a successful landscaping business and loving life in general, Bill started having problems. ….he was diagnosed with bipolar disorder. Then bipolar became schizophrenia. Through it all, Bill never lost that loving innocent side. I’m not making that up either, anyone who ever met him thought he was the sweetest guy they ever met. Always smiling, wearing his bright bold colors and his hats. Oh how everyone loved his hats. He was happiest listening to his music and drinking Dunkin' coffee and eating his donuts. Didn’t take much to make him happy. Just give him a coffee. Then, the final blow. ALS. This was his fatal end after five very short months. 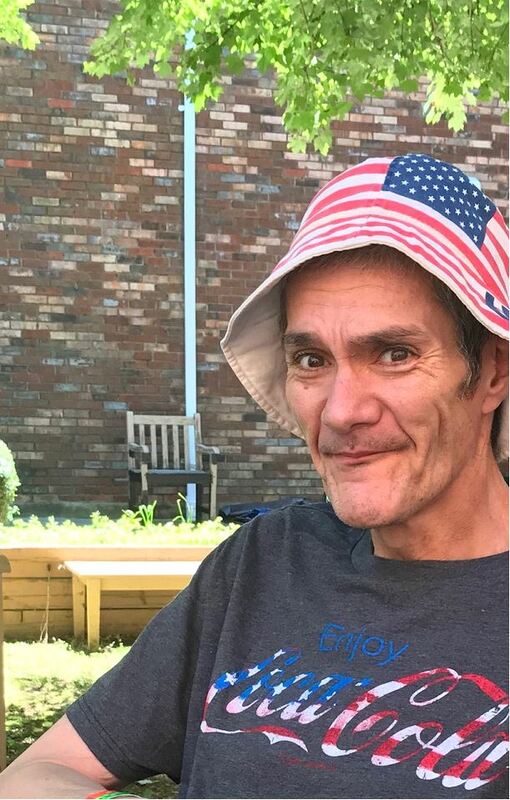 Bill literally went from enjoying his life to gradually not being able to speak, unable to eat, unable to stand on his own two feet, unable to move any parts of his limbs. On October 30th, 2018, he joined his sister and father in Heaven, who also had passed from this horrific disease. I am left with so many why's, like why didn't we live our lives differently? Why didn't we say the things to each other that we should have when we could have? Why didn't we say we love each other much more often? Why did you get ALS on top of your mental illness? Why did life treat such a sweet man so unfairly? Why did this all happen so fast? Why was it such a fight to get for you what was right? Why has it been 100 years, and ALS is still 100% fatal and the world still has no cure and no treatment? Why were we so uneducated about this deadly disease called ALS? Why we didn't have a better support system? Why do people really not care? Why does it takes so much money to do the things that need to be done? The why's go on and on and on and on! Bill leaves a legacy of pure innocence, love, and integrity with his family and those who knew him. He has left behind wonderful memories of the most loving husband, father, brother and friend anyone could ever wish for; and every single person who was ever touched by him had a better life because my Bill was a part of it. As Vince and Glynis planned their wedding, Vince knew something was wrong, and had an idea what it was. Vince had been his mom Linda's, primary caregiver back in 2008 after she was diagnosed with Bulbar onset in November of that year, after complaining about difficulty swallowing. She was very active up until her last month. She passed away in August of 2009. So, while Vince was passed around the hospital for testing in each department to try to solve his new breathing issues, he secretly knew what was going on. His first symptoms were finding it hard to walk upright and breathing. As he walked, he felt as if he was being pulled down from a string on his head. Even walking the dog became hard. It turns out, his diaphragm was only working about 60% and the other 40% was already in paralysis. Vince was diagnosed 2 days before their wedding day in June 2015. This time, they knew it was familial ALS. Vince worried about his kids, now that this was part of their family history. And worse yet, his former mother-in-law, his kid’s maternal grandmother had also passed away from ALS. 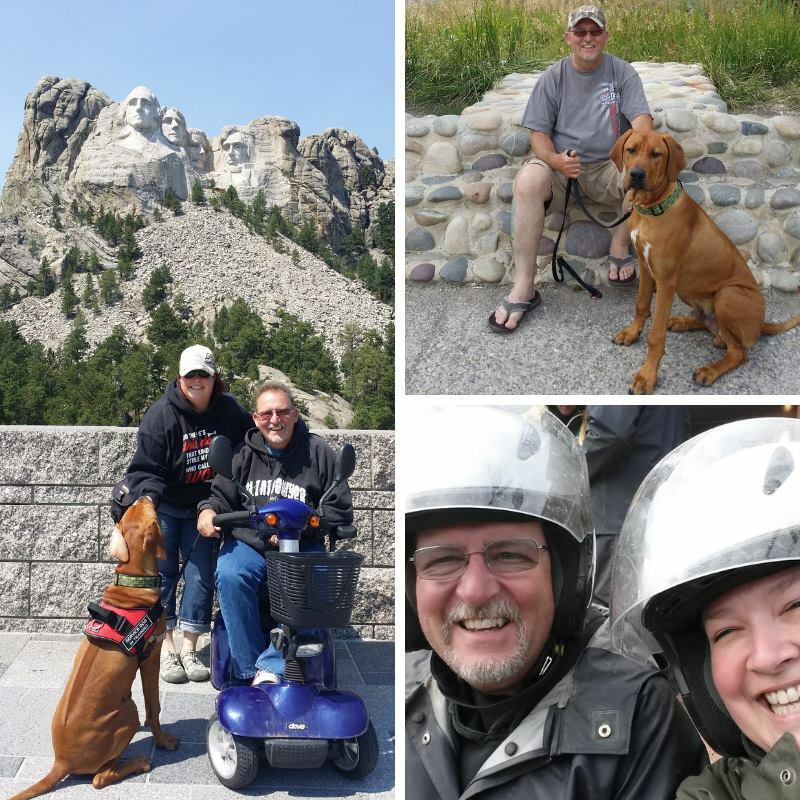 After diagnosis Vince and Glynis started their bucket list of travels, visiting National Parks with their new puppy, Dublin. Vince and Glynis packed a lifetime of memories into those 13 months. Vince had a fast progression and lost his battle in July of 2016. Glynis and Dublin continue to travel the bucket list and to fight back against ALS by raising funds and awareness for ALS TDI. 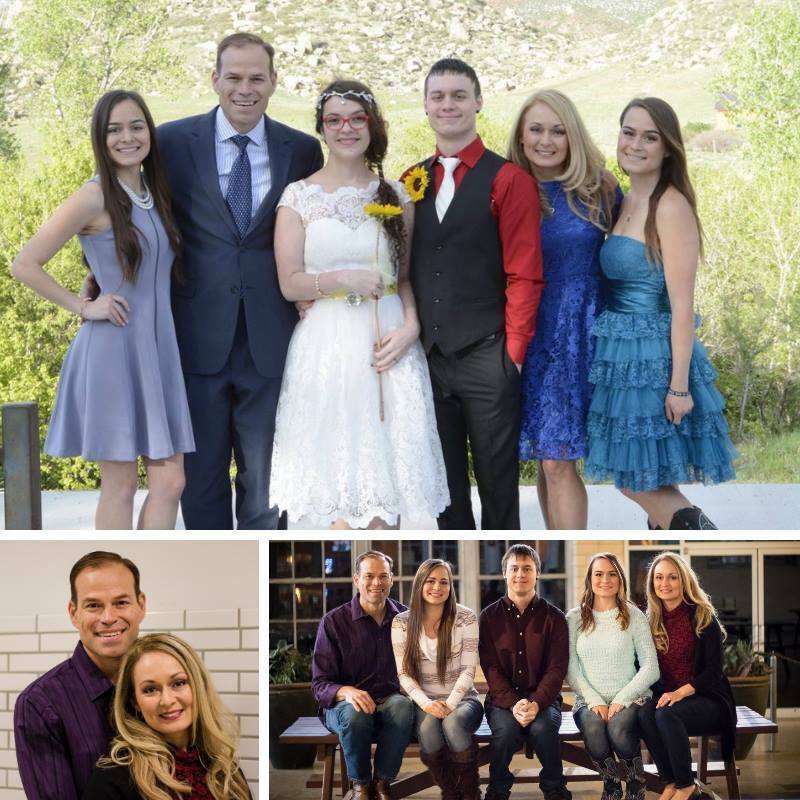 She wants to ensure her new kids will be safe from this disease and won’t stop until the ALS portion of the Murray family story stops with her beloved husband. When my father was diagnosed, there was little known about the disease and no gene testing period. It was the dark ages of ALS research and all I knew is it was rare. It has now been over 620 days, over 892,800 minutes since I received the confirmation – familial ALS, SOD1. Not only do I have the disease that took my father away from me, but I have a gene and my children have a coin flip of carrying this gene. Every second, every minute I lose an ability. In the past year, I have lost the ability to drive, to walk, to lift my arms, to brush my teeth, to scratch my head, to feed myself, to breath on my own, to turn in bed…. I rely on my wife to do all these simple tasks and so many more. Many may look at the debilitating aspects of this disease and wonder where I find my hope and my joy. Sometimes I wonder the same thing, but I keep pressing forward, pushing on and motivated to fight. Since November 2017 I have been enrolled in a drug trial by Biogen that focuses specifically on my genetic gene – SOD1. Since enrollment, we have made over 20 trips to Baltimore (12+ hour round trip drive), received over 15 lumbar punctures, had hundreds of vials of blood taken, and had nearly 200 hours of appointments. But we are still hopeful that I will be the first generation of people to survive ALS. We first became aware of ALS in 1990 when my beautiful Aunt Arlene was diagnosed with bulbar onset ALS. Her daughter Sharon, knew she had to do something since her grandfather and great-grandfather passed from the same disease. Sharon contacted Northwestern University where they were doing ALS Research and sent in Aunt Arlene's blood to see if she carried the only known defective gene, SOD1, at the time. The test came back negative. Aunt Arlene passed in March 1991, less than a year from diagnosis. Our world came crashing down in December 1996 when my hero Dad, Bernie Bullis, at 62 years old was diagnosed with limb-onset ALS. We watched his body deteriorate limb by limb until March of 1999 when he went into respiratory failure. Dad chose to be on a ventilator to breathe for him so we as a family, who had no nursing knowledge, learned in two weeks how to suction and clear his lungs. Then we lost two of Aunt Arlene's daughter's, Merry Lou in 2001 at 52 years old and Sharon in 2004 at 51 to the same horrendous disease. Dad gained his angel wings in 2009 at 75 years old. One year later in 2010 our cousin Carol would pass at 66 years old and then our cousin Phyllis in 2012 at 53 years old. All four of Aunt Arlene's children succumbed to the same disease that took their mother. During the time my Dad was living with ALS, my sister Debbie and I started researching any information we could find on this disease. We always felt knowledge is power! That's when we found ALSTDF, a company in Boston doing research only on ALS. This was very exciting for my sister and me! We also traveled to Washington DC during ALS Advocacy Days for seven years to advocate on Capitol Hill. That's where we met Dr. Bryan Traynor and Dr. John Hardy from NIH who arranged a trip up to Upstate NY to my Dad’s house to do research on our family. That was in 2005. Fast forward to 2012, when the C9orf72 gene was discovered. I will never forget that phone call from Dr. Traynor telling Debbie and me that this was the gene responsible for our ALS. Finally – some HOPE!! Homegrown in Las Vegas Nevada, the Thurtle family first experienced the ALS disease in 1985, when Dianna Thurtle-Shuster became diagnosed with ALS. A die-hard Los Angeles Dodgers fan, Dianna got to see the Dodgers win 1988 World Series before passing just short of her 50th birthday. 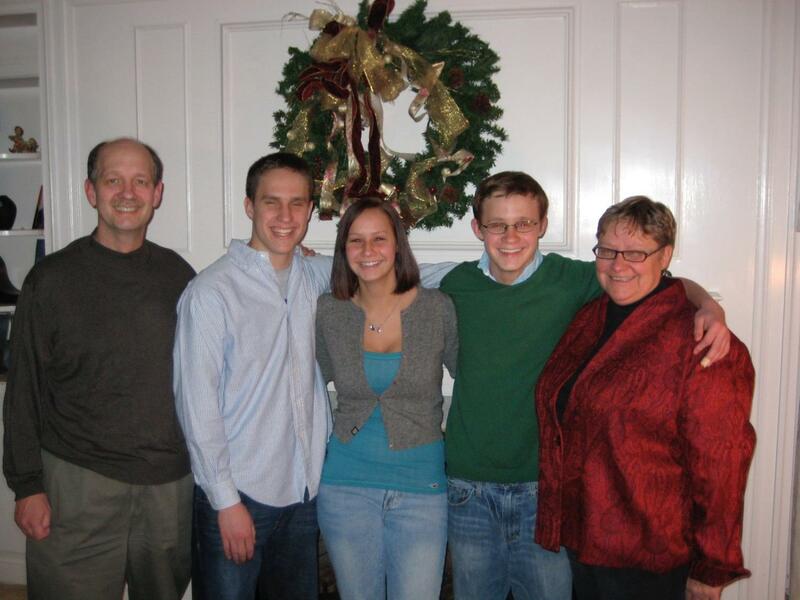 In 2011, the Thurtle family experienced ALS again, when Robert, Dianna's son received his ALS diagnosis. Another die-hard Dodgers and sports fan, Robert lived as much life as possible, before ALS took over in just 9 short months. Shortly after his 49th birthday. The Thurtle family are now known as a familial ALS family. Today, Robert's children and die-hard Dodgers fans, Teresa, Michael, Mark, and Kenny are part of the Precision Medicine Program at ALS TDI. Teresa, Michael, and Mark carry a known ALS gene and have a high likelihood of developing the disease. 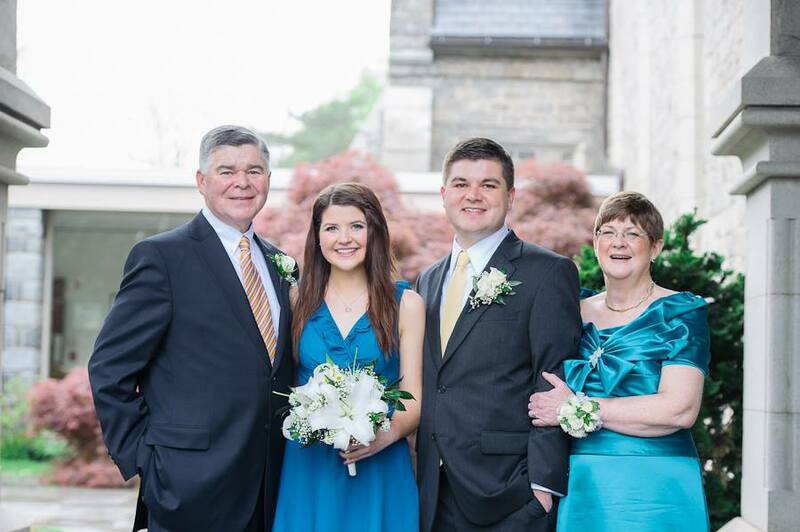 Since her father's diagnosis, Teresa has been advocating and fundraising to find a cure for this horrific disease. A disabled U.S. Air Force veteran, Teresa's commitment to end ALS is twofold: to save the lives of not only her direct family members but her military family members as well. The Veterans Administration recognizes ALS as a service-related disease, as research shows that those who have served are twice as likely to develop ALS compared with those who did not serve in the military. By supporting ALS TDI, you help us continue to push science forward and advance our mission to end ALS once and for all. My mother Susan Cox was diagnosed with ALS on September 12, 2007, after a lifetime of fitness and healthy eating. She had the bulbar form of ALS and at the time we thought her illness to be a sporadic case. Her decline was rapid and she ended her battle with ALS on September 2, 2008, at the age of 63. My mother raised four children, worked full time and continued to go to school most of her adult life. She held a Bachelor’s degree in Social Work and a Bachelor’s in Nursing. She spent the last part of her life as a Neonatal Intensive Care Nurse. She was always active and outdoors hiking or biking or just doing yard work. She loved her family and lived life to the fullest. When my mother passed away we thought we were done with the awful horrible disease that is ALS. Fast-forward ten years to May 3, 2017, when my older brother Mike was diagnosed with ALS and we found out that we are a familial family with a gene abnormality in the C9orf72 gene. My brother’s decline was different than my mother’s but also just as rapid. Mike passed away on September 18, 2018, at the age of 55. My brother was a gentle soul who always found the fun and enjoyment in life. He had a successful video and DJ business and loved sharing people’s most precious moments. Mike had an amazing wife and beautiful daughter whom he adored. When he had any free time you could find Mike fishing or attending music festivals. My family has been torn apart not once but twice and it must end. The fight must continue to end ALS. ALS TDI has been a source of hope and support for my family. Their focus is to find a cure for ALS and that is all they do day in and day out. This search for a cure can’t continue without funding. ALS is not an incurable disease. It is an underfunded one. I was diagnosed with bulbar onset ALS in March 2018. My speech and swallowing are severely damaged already. Also, my breathing is now affected. I am the 3rd generation in my family affected by ALS. My family history started with my great aunt, her brother (my grandfather), my mother, her sister and then a cousin (great aunt's daughter). I am the husband of Tanya Shrum, married for 24 years. We met in San Antonio, TX in my first assignment with the Air Force after pilot training. We have one son and 2 daughters, our son is 29 and daughters are 24 and 21. I fought for the USA most of my life as a pilot in the US Air Force and Air Force Reserves for over 24 years. I graduated from the US Air Force Academy and then went pilot training for my wings (pilot rating). I flew tanker aircraft globally for airborne refueling of fighter aircraft, cargo aircraft, reconnaissance aircraft, and more, to extend our presence and power worldwide. I also was an instructor pilot training pilot students to fly and get their wings in a challenging year of instruction and flying. I then moved on to civilian life as a corporate pilot. In this capacity, I flew private jets for many business professionals and celebrities from Katy Perry, Shaquille O' Neal, Barack Obama and many more. However, due to my vocal cords being hit by ALS, I am on disability from flying. Fighting faithfully against ALS and with great friends, family, and organizations like ALS TDI! My message is about change and never closing the door on hope to find a cure for this horrific disease. I was only 13 years old when ALS became a part of my life. It was 1977 and I was staying with my grandparents. I overheard them talking about Grandma’s sister Ginny having the "creepy crawly disease." Back then ALS was called many odd names, including “consumption of the nerves.” Grandpa asked if this was the same disease Ginny’s great-grandmother died from years ago. Grandma said Ginny was losing her ability to swallow, and her skin was crawling as if bugs were underneath it. The “bugs” were what is now known as fasciculations, or muscle twitches, that are characteristic of ALS. I remember thinking, “Wow, Great-Aunt Ginny has bugs in her body and I hope I never get that!” But we were not supposed to listen to adult conversations, so I never asked about the bugs. Ginny passed way three months later and the door was closed on ALS. Little did we know the door would re-open in 1979. This time my Aunt Bonnie, Grandma’s daughter, was sick. She was a beautiful, 38-year-old, divorced, single mother. At the time her four children ranged in age from 11 to 17. We didn't know how to properly care for her, but my mom and grandma did the best they could. Bonnie’s primary caregiver became her 13-year-old son. My Dad nailed a wooden chair to a car creeper with rollers on it, and this contraption was her “wheelchair.” The scars Bonnie’s children endured from caring for their dying mother at such a young age have never healed. Bonnie passed away within five months of diagnosis. The door was closing on ALS again, but not before I asked a few questions. Grandma said there was this "muscle disease" that seemed to be in her family and caused muscles to crawl, and that there was nothing the doctors could do. She showed me the two pages of information the doctor had given her, and that was all she knew about this thing called ALS. Back then there was very little help for ALS patients and their families. In December 1989, my Dad, Grandma’s son, took a terrible fall down the icy front steps of his house. He believed this to be the onset of his ALS symptoms. He lost the ability to hunt and fish, which for him was a way of life. And in 1991, I lost my Dad to ALS. He lived just 11 months from diagnosis. My mom developed creative methods to make it easier to care for my Dad, as this was her third time facing ALS as a caregiver. But we still didn’t know how to get help for ALS families. In 1996, Grandma died of bulbar ALS, where she lost her speaking and swallowing abilities before limb function, and also suffered from dementia sometimes associated with the disease (FTD). In her last few months, she came to my home and I cared for her with the help of my husband and mom. I learned so much from Grandma throughout my life and she was a very special lady. She always felt this disease was her fault. Upon researching our genealogy, I traced the disease through 13 generations of Grandma’s family to the early 1600s, discovering more than 20 additional family members who suffered from what we now call ALS. Once again with Grandma’s illness, we held questions but no answers. And living in a very rural area, the doctors were unable to offer us additional resources. We cared for Grandma to the best of our abilities then closed the door again. Never in our wildest dreams did we think ALS would keep reappearing in our lives. I pondered how very little had changed from 1977 to 1996, and wondered how much one family could suffer. The hardest part is to share the story of my little sister Rhonda. She was 38 and married with children ages 8 and 11 when ALS took her life. Sadly, my Mom was a pro at this by now and she became Rhonda's 24/7 caregiver for seven months. Rhonda had a vibrant personality and was always the life of the party. After two misdiagnoses, Rhonda thought she'd be ok—after all she’d been cleared by a certified ALS clinic. She thought they had to be right that her symptoms weren’t ALS. But upon seeking a third opinion, she was told it was ALS and given about six months to live. She lost her fight five short months later in January 2007. She suffered through her illness without proper medical or handicapped equipment. During her last four months, Rhonda never left her house, as she didn't have a wheelchair van or an entryway equipped with ramps. But Rhonda did not leave us without making a change. She had DNA testing done to identify our family’s ALS gene mutation—SOD1 A4V. This gave us a marker for researchers to test other family members and opened the door to hope. I began this fight in October 2009. It took me three months to tell my mom she would lose another child to ALS. I had two wonderful co-workers who helped me fling the door wide open and search for more information. Little did we know we would embark upon a journey that would find new friendships and much love and encouragement within the ALS community. We became involved and wanted to make a change. I've brought awareness about ALS into my local community, and have reached out to countless families I meet online who are just learning about ALS for the first time. Myself and other dedicated advocates in Western New York raise money for rural patient needs through our nonprofit Hearts for ALS NY. I will not settle to keep the door closed and be quiet about this disease. It is hard, but I am the voice for my children, nieces, nephews and cousins, all who have a 50 percent chance of inheriting ALS. For them—for all families—we must seek change, as each door we walk through may lead us to the cure. 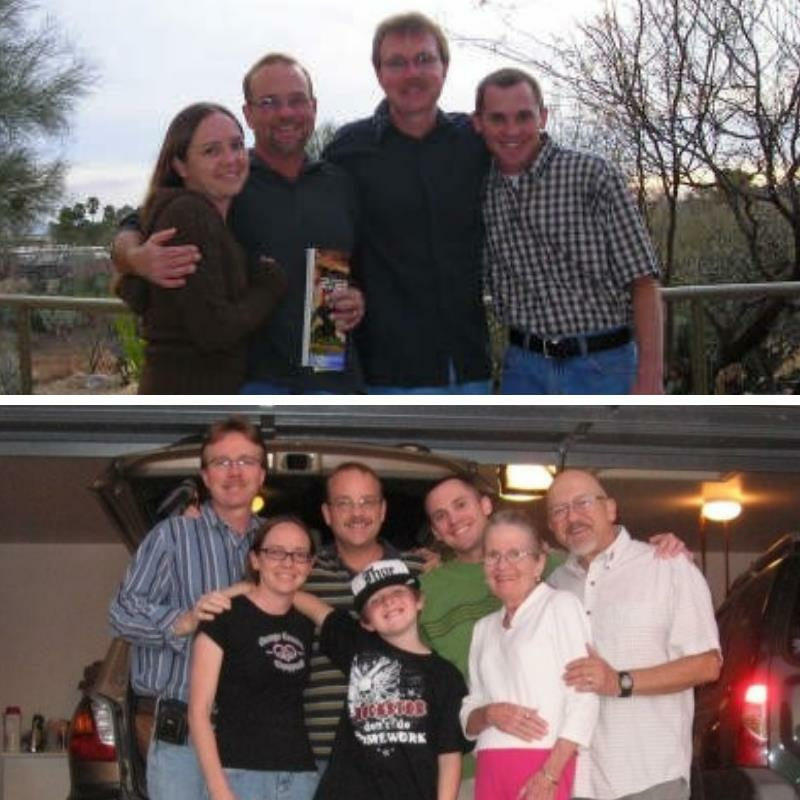 David started to show symptoms of ALS in June 2010. He was showing signs of drop foot in his left foot. In 2014, he said he was having fasciculations in his knee. David was diagnosed in October 2016 with limb onset ALS. He passed away August 18, 2017. July 2015, Ray fell and hurt his right arm & shoulder. He believed this was the onset start of his ALS, although he was having signs of ALS in 2014 but was unsure what the symptoms were. August 2017, Ray was diagnosed with ALS, showing signs of bulbar ALS and losing his arms and hands. As progression continued, Ray lost use of both his arms/hands, lost his voice and had swallowing issues. He could still walk prior to his death. We lost Ray on October 13, 2017. We have 2 family members who tested positive for the ALS gene mutation..This means that they will have ALS at some point in their lives, if something else doesn’t harm them first. We still have many that hold the 50/50 fear and have not been tested. The door is open wider than ever to talk about this beast called ALS. The ALS Community has some promising clinical trials, increasingly more knowledgeable healthcare providers, improving respite care, more diverse advocacy and awareness organizations, and a robust social media family of support. I encourage you to join us as we open the door to the changes that are needed to stop ALS. Thank you for reading my ALS story. The holidays are a special time for families. It is also a time to be grateful for the love that we know (or have known) in our lives. In 2010 my husband, Jack Hains, died of ALS. Jack was the love of my life and I miss him every day. Jack was a husband, father, Naval officer and an attorney. He loved his family and the friends that he made while serving our country in the US Navy. Jack also loved being an attorney. He worked in immigration and intellectual property but always did volunteer work through the Volunteer Lawyers Project. Jack's grandmother had died of ALS before he was born. 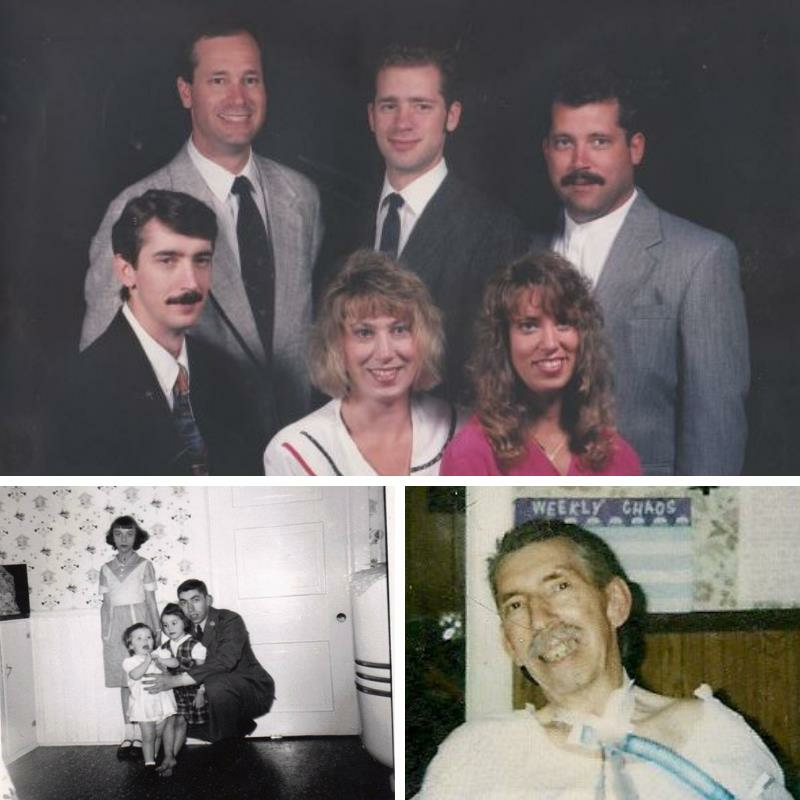 When Jack was diagnosed with ALS at age 58 we did our best to believe that the two ALS deaths were not related. After all, he had been negative for the available tests for familial ALS. Our hopes were shattered in 2013 when his sister, Jean Grant, was also diagnosed with ALS. Sadly, Jean died in 2013 after a heroic fight. I support ALS TDI because I believe that their research and cooperation in the ALS community will help to find the cause and cure for ALS. I support ALS TDI in their willingness to share all their research with others who are working to end this terrible disease. Eleven years ago when I was just 24 years old, my mother, Miriam Cooper, died of ALS after a too short battle with the terrible disease. She was a vibrant woman who always had a positive attitude and saw the cup half full even when her life was very difficult. If that wasn't enough to make me want to fight ALS with everything I have, my fabulous older sister, Devorah Schochet received that same devastating diagnosis on February 13, 2013. All of the things that have been happening to Devorah's body are horrifying. What is even more horrifying is that Devorah and our family have seen this all before with our mother. The way that Devorah's muscles are degenerating seems eerily familiar. 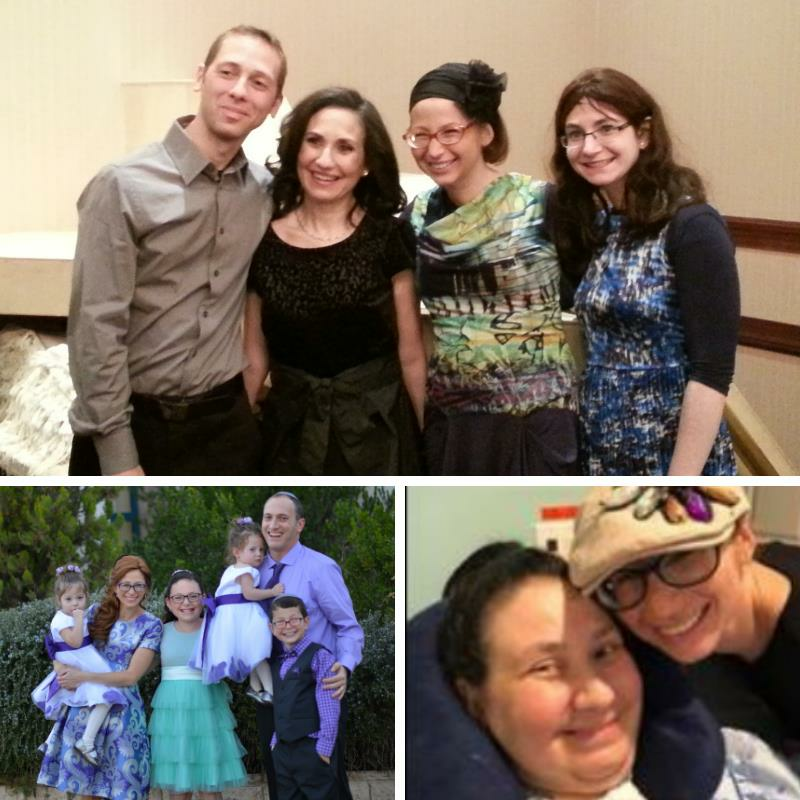 Devorah is only 44 years old and has four children ages 10-22. She fights her illness every day with a smile, humor, and unbelievable strength and she has been fighting it for over five years! Devorah still manages to inspire countless people and make them laugh through her blog. She is truly an inspiration. About six years ago I started running and started a team in The Jerusalem Marathon to raise money for the foundation started in my sister's honor shortly after her diagnosis. We have since raised over $70,000! Ever since then, running, especially for ALS, has been a big part of my life. Running and raising money for ALS awareness, support, and research has given me a purpose and has made me feel proactive in the fight against ALS. I run for my mother. I run for my sister. I run to fight ALS. I run for myself and I run for those who can't.